High efficiency furnace uses modern technology to reduce the fuel and the energy consumption while generating heat. 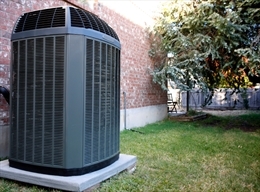 A standard efficiency furnace can convert only 80% of the energy into heat where as a high efficiency furnace converts almost 97-985 of energy into heat. High efficiency furnaces are made up of advanced components that consume less electricity and make low noise. A high efficiency furnace might be expensive but in long run will create more savings by reducing energy consumption. In high efficiency furnace electronic ignition is used instead of gas pilot light. It ignites only when furnace needs to be turned on and then goes off again. Instead constantly lighting the pilot light ignition saves energy by turning on only when light is required. Low stage heating is used when normal heating is required in the home while the high stage is turned on at the time of extreme cold winter months. Second combustion chamber captures the exhaust gas which usually escapes the unit. This exhaust gas is condensed and converted into liquid again to repeat the process of heating. This process helps to save the fuel. Sealed combustion unit uses outside air for its process instead of using the air from indoors. This process saves energy as they do not provide the air on which it already worked hard to make warm. Most of the furnace with high energy efficiency use blower motor with variable speed. Instead of turning the motor on/off at regular intervals they adjust the speed of the motor as turning on the motor requires 6 times more energy. So when the room is heated instead of turning it off the speed of motor is reduced. 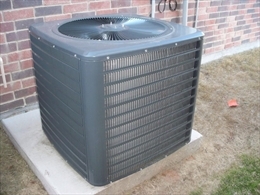 •	High efficiency furnace maintains same temperature in the entire house. •	They consume less fuel, gas and electricity to heat the room. •	High efficiency furnace reduces the carbon monoxide consumption by 1.5 tons. •	These furnaces cause less harm to the environment.